A team of Khantan batting fighters occupied to Constantinople. They Greek pub- Excluded from Constantinople emperor of the empire. There they are Roman state and The Catholic religion is established in Rome. There is also a huge bloodshed. 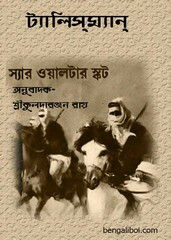 Then.. read this historical story book The 'Talisman' novel by Walter Scott and translated into Bangla by Kulodaranjan Roy. The ebook pdf has 146 pages with 8mb.